In prospective studies of adults, compared to non-vegetarian eating patterns, vegetarian-style eating patterns have been associated with improved health outcomes—lower levels of obesity, a reduced risk of cardiovascular disease, and lower total mortality. Several clinical trials have documented that vegetar-ian eating patterns lower blood pressure. On average, vegetarians consume a lower proportion of calories from fat (particularly saturated fatty acids); fewer overall calories; and more fiber, potassium, and vitamin C than do non-vegetarians. Vegetarians generally have a lower body mass index. These characteristics and other lifestyle factors associated with a vegetarian diet may contribute to the positive health outcomes that have been identified among vegetarians. 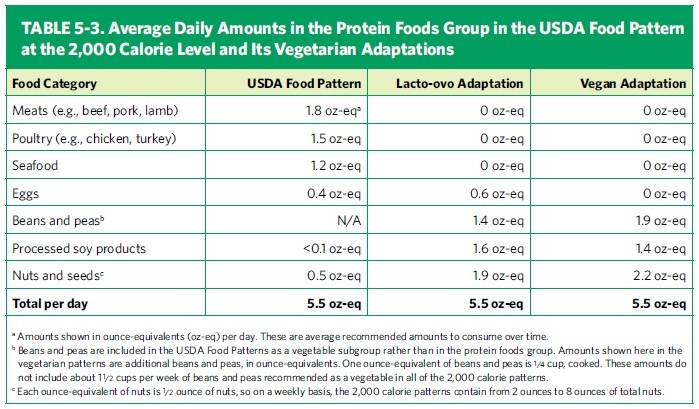 I also found this chart showing the protein needs adjusted to a vegetarian diet, which is helpful for us in planning grocery shopping. In general, I think we already meet the protein requirements pretty well, but I was surprised to see that dairy products were not included as a source of protein. I have to look into that more, because we eat a lot of cheeses and yogurt and I was counting them as protein sources for Nora. I didn’t do much yoga, but I sewed. 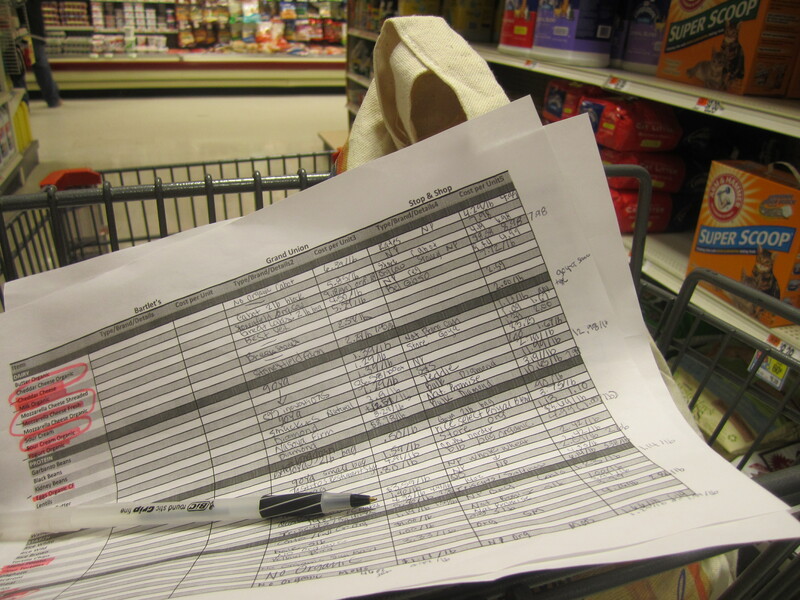 Groceries and shopping were the big focus this week. 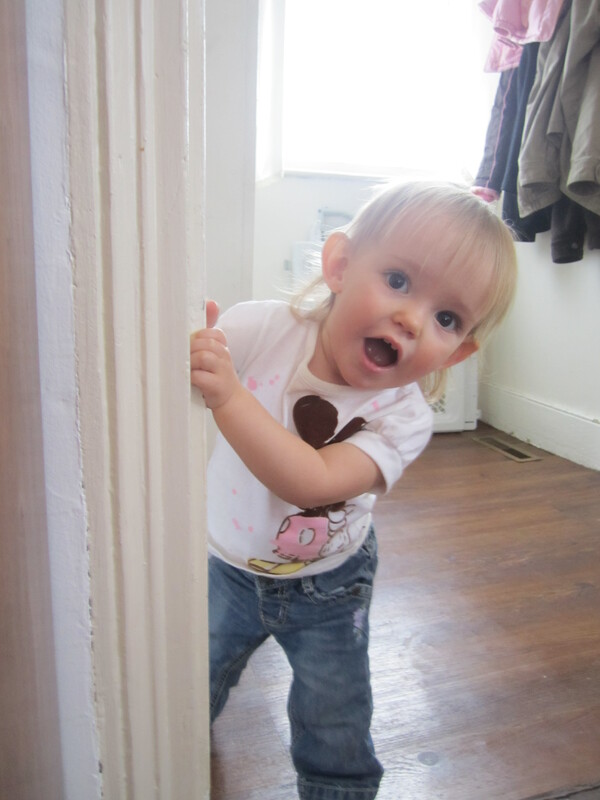 Of course, I tried to keep the house clean with a visitor, and didn’t do too badly at it. It didn’t hurt that Chris’ dad was our dishwasher pretty much all week! 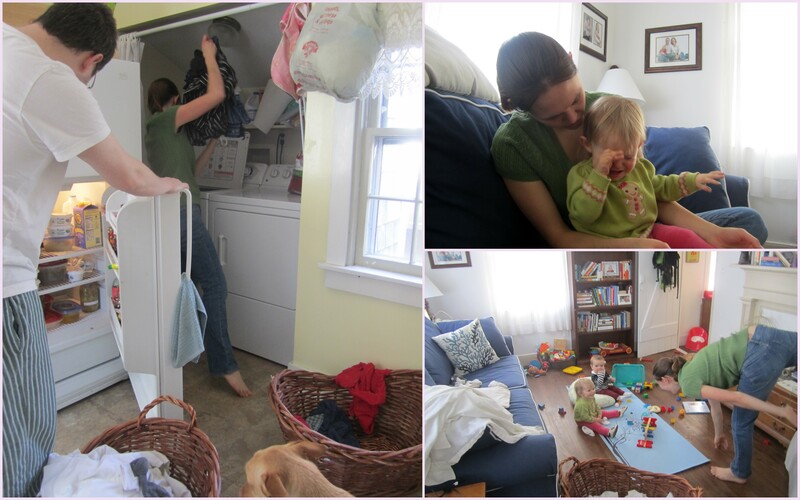 I hardly had to wash anything, and as anyone who reads my blog knows, washing my dishes is the fastest way to my heart. 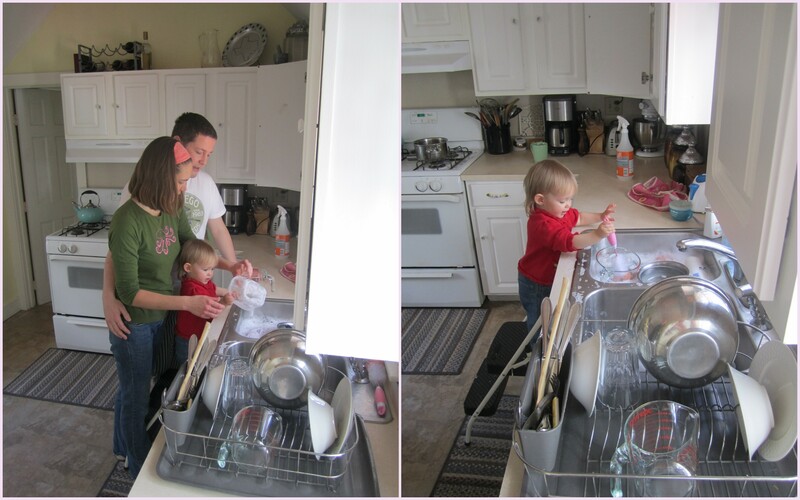 We’re also starting early to train our own little dishwasher: That’s what kids are for, right?